I personally believe eyes are the most beautiful part of the body. They says a lot even when you don't say anything with your mouth. However our eyes get tired throughout the day. They work continuously since morning till the time you sleep. It is very important to have a proper sleep for the eyes which has become quite challenging in today's life. Lets talk about eye pads here which are easily available in the market. They provide some relief to the tiring eyes. But don't worry as your friend I will say why to buy the pads from outside when you can make this at home. Today I am sharing you an easy DIY beauty tip which can be prepared in one day but use for a complete month. This will help you to get instant relieve from your tired & puffy eyes within 10 min. So without much delay lets get started. Step 1. 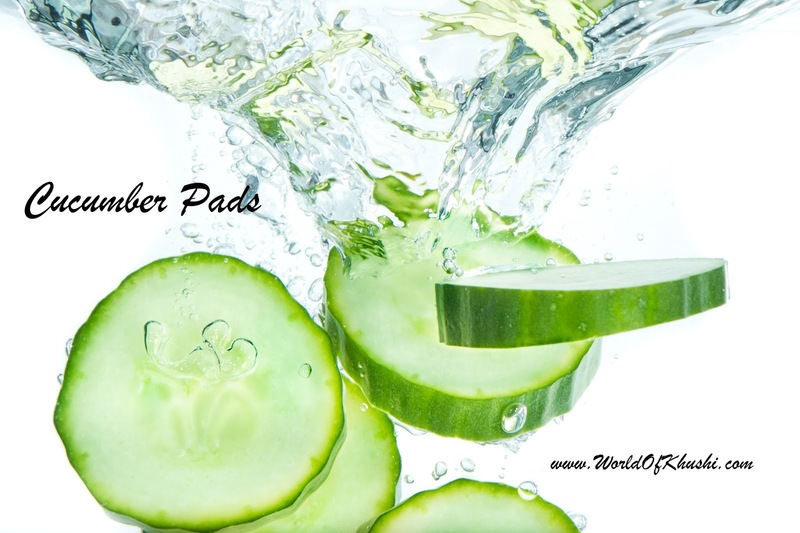 Pour cucumber juice in a big bowl. Step 2. Dip your Cotton Pads in Cucumber Juice & soak it for few seconds so that the cotton absorbs the juice properly. Step 3. Now squeeze out the excess juice. Step 4. Place this Cotton pads on the Plastic Sealed Bags / Sandwich Bags separately. Try not to overlap them. Step 5. Seal the Sandwich Bags & place it in the freezer. Freezing Cucumber helps to stay fresh till a month. Step 1. Whenever you want to use this, take out the pads from the freezer & then apply after 10 min till then it will become soft but still retains its cold. Step 2. Place the pads on your eyes & leave it for 10 mins. Step 3. Once you are done remove the eye pads & wollaaaaaa you will instantly feel very refreshing eyes. If you want you can wash your eyes & then apply cream. Personally I apply cream without washing. 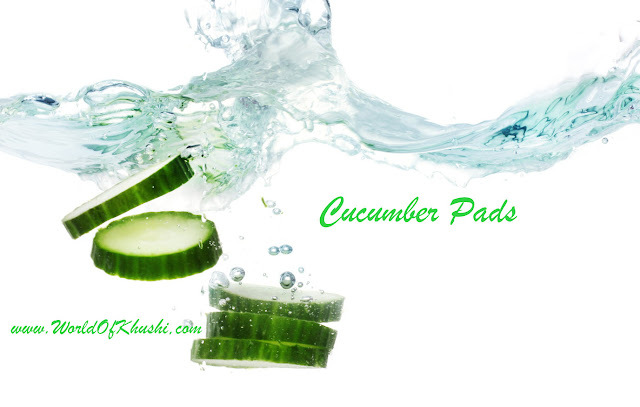 Cucumber are rich in Vitamin K, which helps to reduce dark circles. Cucumber are having 80% water so it's very hydrating. It gives a nice cooling effect which is great for tired eyes. I hope you have liked this DIY, it's easy to make, takes only few minutes to make & stays with you for a longer time. And of-courses gives you fresh eyes. Do try & let me know. If you want to get more such posts do like my FB page & post & share it with your friends too. Hi there, It was very good article and easy to understand. Looking forward for more articles for healthy life. Thanks. thank you Dheeraj :) It's really nice to hear from you guys. Surely will upload more healthy articles.